The following commentary comes from an independent investor or market observer as part of TheStreet’s guest contributor program, which is separate from the company’s news coverage. These are the two principal questions being framed today, after Lord James of Blackheath (a member of the UK House of Lords) unveiled documentation (and accusations) concerning a mounting of illegitimate cash: $15 trillion. At the moment, only Lord James is asking these questions. However, if he gets his way there will be an official inquiry into this massive, money-laundering operation. Already, Lord James possesses documents with the signatures of people like Alan Greenspan and Timothy Geithner on them, as well as massive transfers of funds to virtually every mega-bank in the U.S. and UK. While Lord James (himself a former banker) is holding the “paper trail” for all of this dirty money, he has no firm ideas about either the source of the money nor the intent of all of these massive transfers (all in the hundreds of billions) to U.S. and UK banks. Perhaps I can help him out? Regular readers will be familiar with some of my own speculation into U.S. money-laundering (and counterfeiting of its own currency). Of interest, my own theorizing was based on a series of logical deductions that implied that some massive money-laundering operation (of counterfeit currency) must be taking place in the dying U.S. economy. And now we have a detailed paper-trail on the largest (known) money-laundering operation in history. There are (virtually) no visible buyers for U.S. Treasuries on the planet (at any price). Even if there were interested buyers, there are no sources of capital available to mop up all the trillions in supply being dumped onto the market each year. Even if there actually were interested buyers, and even if they could scrounge the $trillions to buy this worthless paper, it is utterly absurd to suggest that these buyers would pay (by far) the highest prices in history for this paper at a time of maximum supply. It defies every basic principle of supply and demand. Taking this scenario from “absurd” to outright insanity, the U.S. economy has never been less solvent in its entire history. This directly implies that U.S. Treasuries should be fetching the lowest prices in history — not the highest — just like the worthless bonds being flogged by Europe’s deadbeat-debtors. In other words, by process of simple deduction it was totally obvious that a gigantic, money-laundering operation was being conducted, with the primary goal being to prop-up the totally fraudulent U.S. Treasuries market. All that was missing was a paper trail to prove this fraud, and now Lord James of Blackheath has been kind enough to provide this. Undoubtedly many readers will be skeptical of this, assuming that there would be no need to get into such a cloak-and-dagger (and blatantly illegal) process to pretend that worthless U.S. Treasuries still have value. Supposedly, these bonds have more “value” than at any time in history – despite the issuer of those IOU’s being hopelessly insolvent and merely delaying its own bankruptcy. 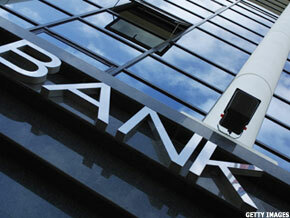 The $15 Trillion Mystery: Opinion – TheStreet. Zombie Americans have forgotten why 4th of July is a holiday!!! Copyright Disclaimer Under Section 107 of the Copyright Act 1976, allowance is made for fair use for purposes such as criticism, comment, news reporting, teaching, scholarship, and research. Fair use is a use permitted by copyright statute that might otherwise be infringing. Non-profit, educational or personal use tips the balance in favor of fair use. The media material presented in this production is protected by the FAIR USE CLAUSE of the U.S. Copyright Act of 1976, which allows for the rebroadcast of copyrighted materials for the purposes of commentary, criticism, and education.